PALEO DIET–aka the "Caveman Diet", our beef jerky was made for this lifestyle. Unlike the cavemen though, we use only high quality, USDA approved beef. Plus, we hear cavemen hated nitrites and MSG as much as we do! GLUTEN-FREE DIET–Diagnosed with Celiac Disease? Told your gut can't handle gluten? Or maybe you just don't like the grogginess that comes with wheat? 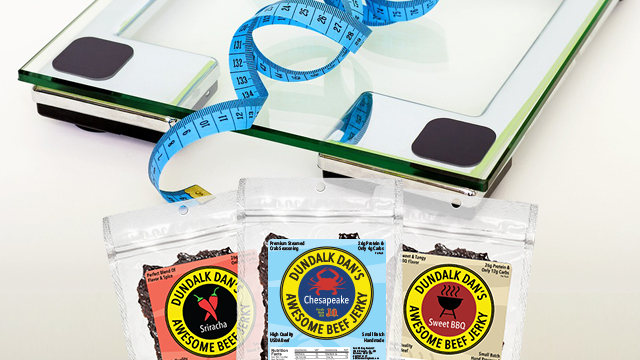 Whatever your reasoning, we can assure you that NONE of our beef jerky flavors will break your diet. 21 DAY FIX–If you've made the first step towards getting your body into shape with Team Beachbody, you'll want to fill those containers up with as much flavor as possible! Our beef jerky is packed with tasty strips of flavor-packed. LOW-CARB–Dr. Atkins was definitely onto something when his diet craze hit the world years ago. However, people quickly realized that serotonin is what carbs and happiness are made of so what's the point of being skinny if you're not happy, right? All our flavors have JUST enough carbs to keep you on track while not making you sad. HIGH-PROTEIN DIET–Bulking up this year? Are a chiseled 6-pack, cut-off tank tops, and sweatbands in your future? Well, you're going to need more than dry peanut butter protein shakes to keep you on track! Each of our flavors contains 26 grams of protein per pack! You'll be ripping t-shirts and getting gym dates in no time. AWESOME DIET–No, we didn't make this diet up, we simply gave it a name. If your summer goal is to just be you then the Awesome Diet is perfect! You were awesome yesterday, you're awesome now, and you’ll be awesome tomorrow. You know what would make you even more awesome though? Dundalk Dan’s Awesome Beef Jerky in your pantry!